Small and simple projects requiring little organisation can sometimes make a big difference in enhancing communities. One such project is The Big Lunch from the people behind the Eden project. 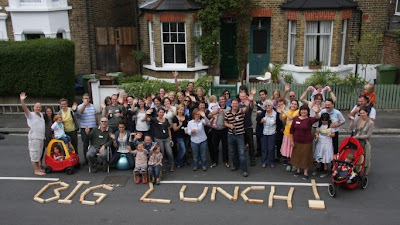 The event brings neighbours together one day each year for a joyful street lunch party to embrace the potential of strengthening relations, community bonding and further community initiatives. Perhaps more importantly, it facilitates discussions and understanding of each other’s issues and the opportunity for first steps to help each other find solutions.